Combine all ingredients in blender, blend for 20 seconds. 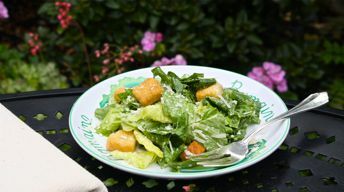 Toss lettuce with some of the dressing and the croutons. Sprinkle more parmesan cheese on top if desired. Serve.